A positive statement of thanks can change the world. 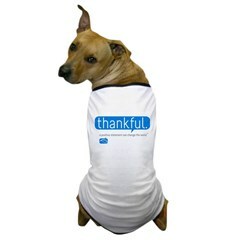 Wear your positive attitude of thanks with this modern design in royal blue. Available on a variety of products to suit your unique style. Offered in organic cotton where available because going green is a positive statement for our environment. All purchases are made through the Creative Affirmations' CafePress Store.